It’s that time of year again! Everyone’s gearing up for Halloween (trick or treating) and wracking their brains to figure out their costume. 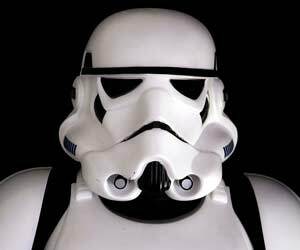 One perennial favorite is Star Wars’ famous stormtrooper costume, and this year promises to be no different. 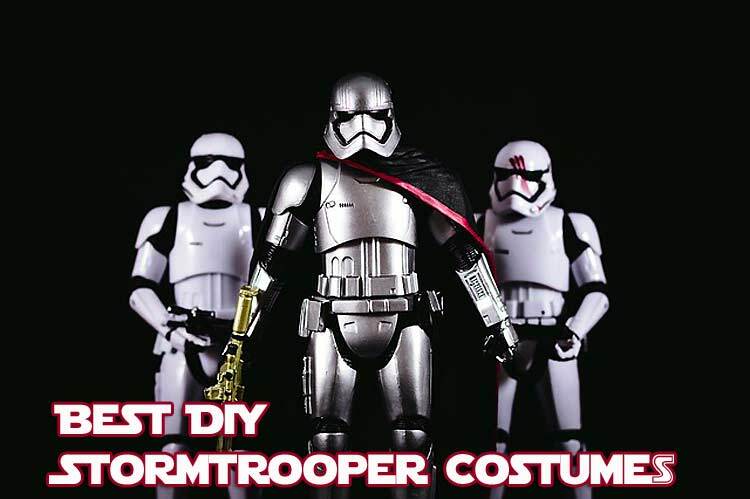 Whether you want to save some money or just love making your own costume, making your own Stormtrooper costume is a great way to get a unique look and practice your DIY skills. 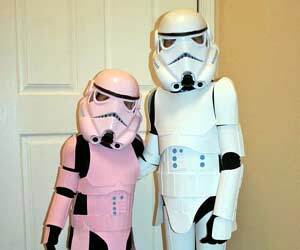 Adult or child Stormtrooper costumes run the gamut from the very simple to the extremely complicated. Some on our list may only take you hours to make, while others might take weeks and require at least some knowledge of construction and safety practices. 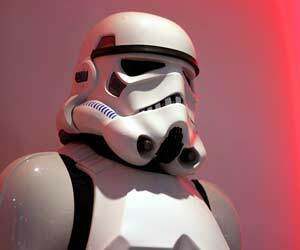 The strength of the Galactic Empire is excellent, and now you can follow the company with these Stormtrooper Costumes! This Halloween, you can find astonishing DIY Star Wars Stormtrooper costumes for kids and adults in vintage style and looks from the new trilogy as well. 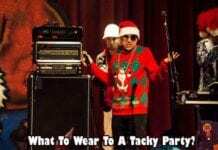 These outfits are great for any costume party, trick-or-treating, or going to Star Wars films! 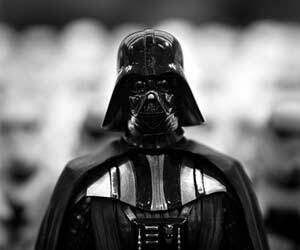 We’ve included a range of DIY Star Wars costumes so you can find one that fits your available time–as well as your comfort with dangerous materials. We’re starting off with a costume that’s more about crafting than building. Although this costume will take some time and effort to make, it’s a safe and inexpensive method that uses a milk jug and craft foam for most of your materials. Your main tools are scissors and a hot glue gun. You’ll need a black shirt and pants for the underlayer (we recommend using fitted thermals). We love the way these instructions have you measuring some of your armor pieces against your under layer and using velcro to attach the armor to the shirt and pants. You’ll probably need some assistance to get into the finished product, but that’s true with most stormtrooper costumes. This is one of the most creative yet straightforward options for your Stormtrooper costume.Using little more than a t-shirt, a baseball cap, and some permanent markers, this is an inventive, casual twist on the usual stormtrooper armor. You’ll start with a template of a t-shirt design that you’ll shift onto your own t-shirt. 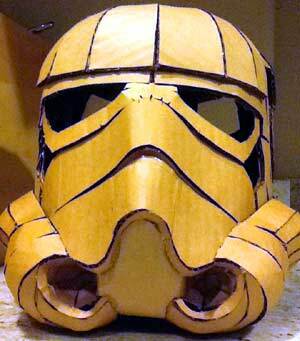 Using another model of a stormtrooper helmet, you’ll create a pattern for drawing it onto the ball cap. Go over everything with permanent marker (or t-shirt marker if you so choose), and you’ll have a great costume in no time. This is a straightforward method that just uses cardboard, sweats, and aluminum foil. The instructions suggest white sweats go underneath the cardboard armor, but we still prefer a proper black underlayer. 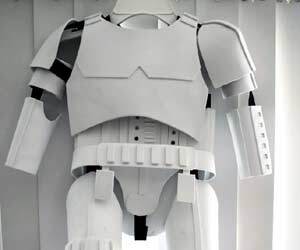 This is one of the simplest methods to make a stormtrooper costume and can probably be finished in an afternoon. Since this costume uses fiberglass, you’ll need to make sure you have proper safety equipment before getting started. Still, this costume doesn’t require power tools or equipment. You’ll create your own simple templates for the pieces of armor on the cardboard, then apply the fiberglass for a sturdier layer. 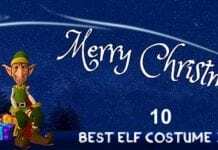 There are also useful tips on how to get a smoother surface from the fiberglass and ways to use the natural texture of the cardboard to enhance your costume. You’ll need some industrial-strength velcro to attach the armor pieces to your underlayer. Break out the hacksaw, because this one’s going to require some power tools!. This DIY method uses PVC piping and trash cans to create a more authentic-looking stormtrooper costume that isn’t as expensive as the most detailed methods. The main set of directions only include the main armor, but a separate set of instructions will help you create a helmet using another trash can. If you’ve got a lot of cardboard laying around, this may be the best bet for you. No power tools, just cardboard, a utility knife, and your trusty hot glue gun. These instructions outline fitting the essential armor pieces using twine to help with measurements. They also provide a lot of flexibility in shifting between the various types of stormtroopers we’ve seen in the Star Wars universe. There are no instructions for a helmet but look below for a great detailed helmet made of cardboard that would be a great accompanying piece for this armor. Although these instructions are only for a helmet, they’re included on their own because this is one of the best low-fuss helmets we found. 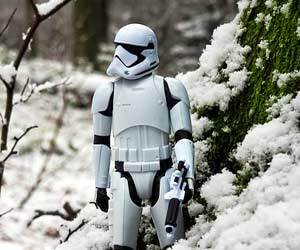 Many DIY instructions for stormtroopers focus on the armor and expect you to buy a helmet. With this option, you can make a really detailed, lightweight helmet yourself using basic, if rather intricate, templates for your cardboard. Although the instructions include a fiberglass finishing, the cardboard alone looks pretty good too. 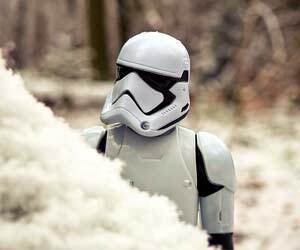 This is another simple take on a stormtrooper costume that uses craft foam for your armor. The creator admits the costume is likely one-use only, but since most kids would probably grow out of it before there’d be a second chance to use it, these are great, inexpensive option that won’t be too heavy on a kiddo’s small frame. Now, this is where we get into the molded-plastic replicas used by many cosplayers. This will take time, a decent-sized workshop area, and a vacuum-forming machine (instructions on how to make your own are included). Still, this is an expensive option–but it will look fantastic. 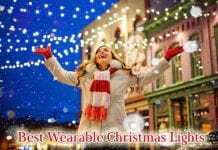 This site also provides excellent information on where to get the right accessories, so if you want a simpler costume but an authentic looking gun, this is a great place to look. These instructions are called the Definitive Stormtrooper Costume How To, and there’s not much room for argument. This plaster-molded costume is the most authentic-looking we found. It’ll take time, a body cast, a vacuum-forming table, and a decent amount of workspace. The full body cast isn’t necessarily required, but if you’re going to take the time to make this baby, you may as well go the whole way. The instructions are also laid out in great detail to guide you through every step, so navigation is a breeze. 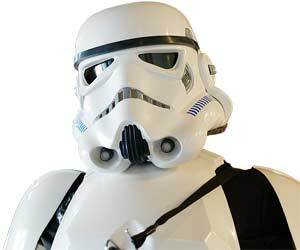 From simple and fun to complex and authentic, stormtrooper costumes are as diverse as the many different ways people use them–from fan movies to cosplays, stormtrooper costumes are almost ubiquitous even when it’s not Halloween. You can make something that looks pretty good in the single day, though. Which method do you think you’ll use for your Stormtrooper costume? Let us know in the comments!